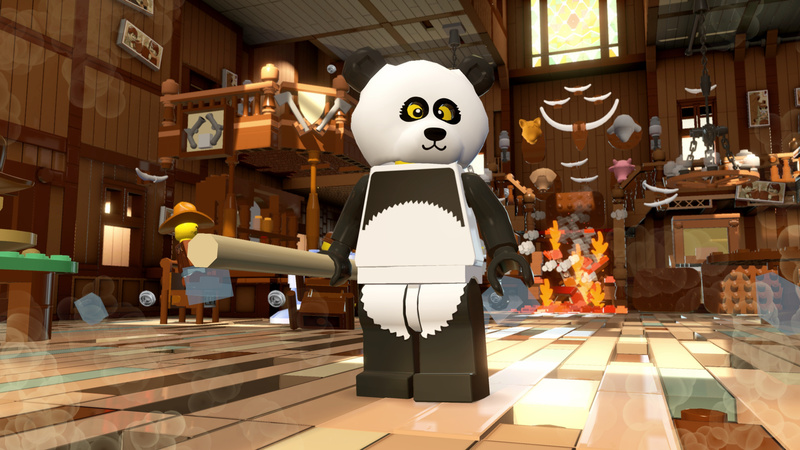 Traveller’s Tales’ familiar LEGO game formula has transformed many famous film franchises into enjoyable family games, with the recreation of iconic protagonists and comic book heroes waving an endearing spell in the direction of consumers around the world. 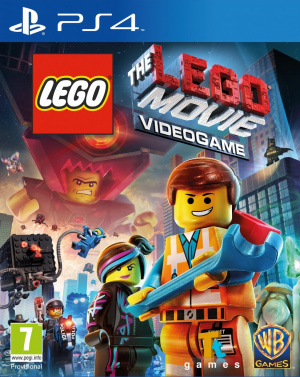 It’s fitting, then, that the recently released flick based on the globe’s greatest toy should get a game of its own, with The LEGO Movie Videogame bringing the events of Warner Bros’ latest blockbuster to your PlayStation 4. Just like the movie, saving the plastic planet is top of the agenda for our reluctant hero Emmet. Fate has intervened and whipped the slender star away from his steady construction worker day job, plopped a mythical block named the Piece of Resistance into his backpack, and dropped him right in the middle of constant peril as a rag-tag faction of Master Builders attempt to save the world from the evil Lord Business. This setup will be familiar to anyone that’s seen the film that it’s based upon, and the title even throws in video snippets from the cinematic release in order to help push the plot along. However, this is where the title trips over its stubby articulated legs a little, as it means that the story is ruined if you haven’t seen the movie. As such, it’s best to pick this up after a day out at the theatre, because you’ll definitely have more fun playing through the adventure once you’ve seen the flick in its entirety. Still, stretching out the events of the two hour motion picture can make some of the levels and mini-games feel like a bit of a drag. This is particularly evident during the first stage, as it tasks you with demolishing and rebuilding a few too many structures. Chase sequences are also problematic, as they feel like they’re just never going to end. The primary problem is that previous LEGO games have always had plenty of material to pull from, but the barrel is being scraped a little here. Fortunately, in spite of this criticism, the game’s never offensively tedious. For starters, the story is well written, and the voice cast do a brilliant job of keeping you hooked. Some audio samples taken directly from the movie can seem a bit out of place, but the production quality is generally excellent, with the next-gen iteration standing above its current-gen counterpart, maintaining a steady framerate in even the most demanding of scenarios. And there are plenty of those throughout the title’s full campaign. 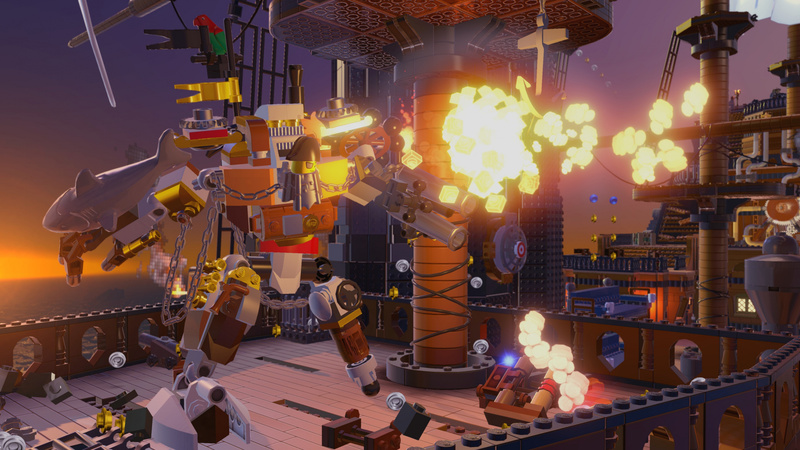 Emmet and his Master Builder allies find themselves in all manner of sticky situations throughout the course of the adventure, and the pacing for the most part is pretty action packed. There are a few lulls here and there which stand out, and these are perhaps a consequence of the aforementioned padding issues, but they’re never going to break your enjoyment of the overall affair. That’s probably because the core structure remains so solid. 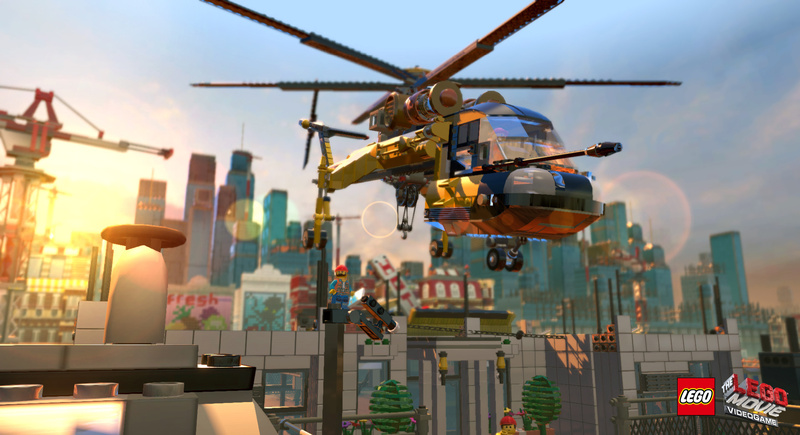 As always, you’ll be solving light puzzles, hopping around the vibrant world, and satisfyingly smashing structures into millions of LEGO bricks. The levels are mostly linear, but there is the odd hub to provide the illusion of freedom. You can also return to any unlocked stage at any time, and because you’ll constantly be expanding your roster of playable protagonists, this allows you to access new areas in order to gather up hidden collectibles. The Master Builders probably represent the biggest change to the core formula, as these are the only characters who can actually construct new items out of bouncing LEGO bricks. You’ll find that ordinary stars can’t do this, so they’ll instead need to collect instructions and build bits-and-pieces at specifics points in each level, performing a simple mini-game to finish the job. We can only imagine what the world would be like if IKEA flat packs were similarly entertaining to assemble. 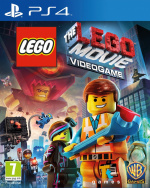 While it lacks the endearing appeal of some of its older siblings, The LEGO Movie Videogame is still a strong cinematic tie-in that serves as a perfect accompaniment to the big screen blockbuster – even if you should ensure that you visit the theatre first. It’s never going to set your next-gen system alight, but there’s a kind of enjoyable comfort food here that makes for a familiar but thoroughly entertaining romp. Is it open world or level based? So I've got a question: it seems their haven't been many reviews for this game. Despite it riding hgh in the charts. Why is that? I'd assume an embargo, but embargoes usually extend to release date, and I'm sure this game has been out for at least a week? @RawShark Perhaps many outlets didn't feel the need to review it. There hasn't been a long embargo on it, this is just the quickest we've been able to get the review up. Can only speak for us personally, but we always considered it worth reviewing. Thanks to you and the team for doing a review. I was hoping to see one from you guys. Sounds like a typical Lego game. Good but nothing spectacular. Hopefully it'll get a sale on PSN at some point.